The daylily's botanical name, Hemerocallis, means 'beauty for a day', and indeed most daylily flowers open in the morning and die by nightfall. However, each flower stem (also called a scape) typically has at least a dozen flower buds, so the plant stays in bloom for several weeks. You can even eat them! But don't eat the wrong ones!! 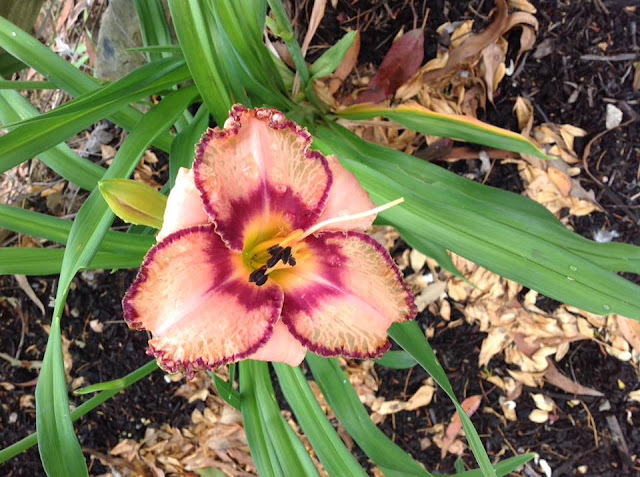 Daylilies are quite easy to grow on the Coffs Coast, they are virtually pest and disease resistant however snails and slugs can be problematic among the plants but the good news is they rarely touch the flowers! When planting in well-worked soil which has been improved by compost or manure, the crown should be about 2cm below ground level and about 60cm apart. 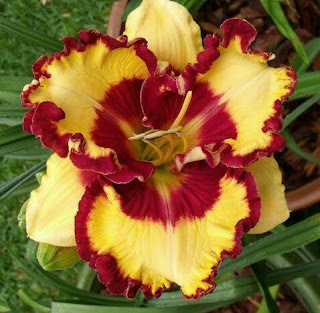 Some people suggest that daylilies be used in general landscaping however this can get very tatty looking if dead leaves and old stalks are not removed, coupled with different heights, colours etc this can make the bed look untidy. It is suggested that drifts of single cultivar works well as it is less 'tizzy' and each cultivar can be appreciated for its own attributes and not overshadowed by another plant which may have a bolder colour and/or taller etc. Use a slow release fertiliser at planting time to ensure good early and continued growth. The plants should be well watered until growth starts but will withstand drought and also grow well in our wet conditions - a good all rounder! 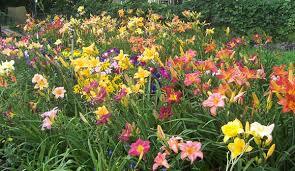 Once established give your daylilies some organic fertiliser in early spring and water in well. Flower size, growth and quantity of bloom will depend on time of planting, weather and cultural conditions. Best results seem to be obtained in the second or third year clumps. These clumps are best divided after 4 years or so to maintain optimum flower size, quality and quantity. 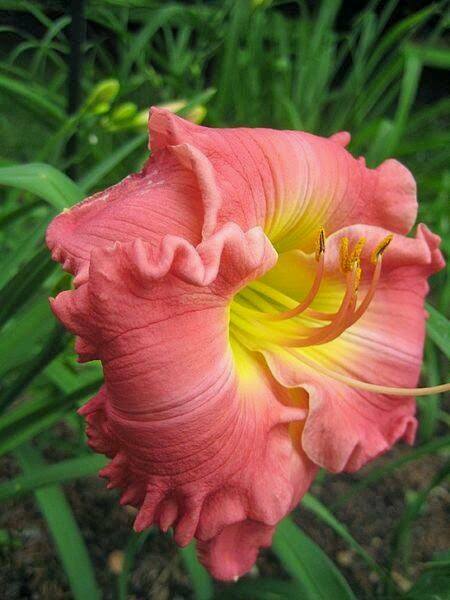 Growing Daylilies as a hobby is exceedingly popular in North America. We had a Canadian friend who was an absolute daylily tragic - and had well over 400 different cultivars in his garden (and he treated them like babies) which he was very proud of. Just a few decades ago daylilies were largely yellow or yellow! Hybridising by enthusiasts like our friend has resulted in a great torrent of the most amazingly varied flowers seemingly as free flowering and hardy as the old-fashioned ones (if not more so). There are singles, doubles, full-sized or miniature, red, white, pink, almost black, rust, pink, gold, orange, spotted and ruffled and fringed varieties, ones with small elegant flowers and ones with blooms that are almost too heavy for their stems. You name it, you can have it with daylilies - a fantastically rewarding plant for our gardens. Further reading can be seen at Decadent Daylilies. 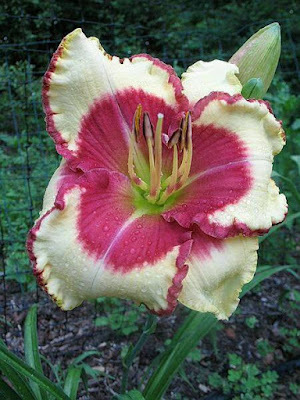 This website has amazing images, fantastic advice on growing daylilies and a 'must read' for anyone who wants to be bitten by the Daylily bug! The mixed fields are good and I think that they are more attractive to the people and the insects as well. I have seen the difference as I have both kinds of fields.